In the world of Steelheart, a little more than ten years ago, there was an environmental change that gave ordinary people extraordinary powers. Unfortunately these so called ‘Epics’ are nothing like the heroes of our graphic novels, appearing to only have their own interests at heart. There are still those who believe that for every “evil” Epic there must be a “good” Epic. The father of our hero, David, was one of these believers; unfortunately he also became one of the first victims of one of the greatest Epics to ever exist. The story opens with David recounting the day he watched his father be saved and then killed by the Epic Steelheart. He also sees the supposedly invincible Steelheart bleed, something that hasn’t been seen since. Unbeknownst to Steelheart, David survives the slaughter and knows that his memories of that day are the key to his revenge. When David turns eighteen he searches out a group of individuals called The Reckoners, whose goal is to take on and eliminate Epics. Being a huge fan of Brandon Sanderson, I was really intrigued to see how he would tackle the young adult genre. 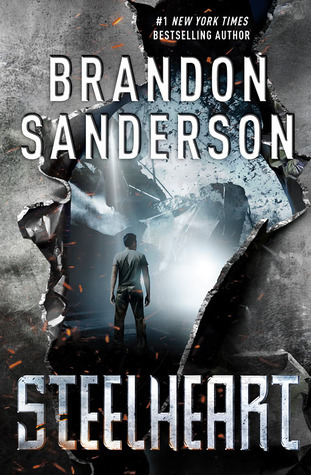 With Steelheart, Sanderson make a successful transition with only a few hiccups. 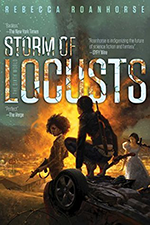 In his adult fantasy work, he takes traditional high fantasy and gives it a modern twist and his style easily flows into this young adult dystopian. Like his other work, the pacing is quick, the plot is layered and the action jumps off the pages. It also included some twists I didn’t even see coming. Overall I enjoyed Steelheart. I totally got the unsaid theme of “absolute power corrupts absolutely.” Each Epic has one weakness, which nullifies his or her powers; a weakness that each Epic will go to the farthest extent to keep hidden. Governments and countries have fallen to the ruin of Epics. Epics are above the law but not above the Reckoners’ justice. The world of Steelheart is very dark and is almost with hope. The Reckoners know they face insurmountable odds but with every small victory they add to the small spark of hope left in the world. 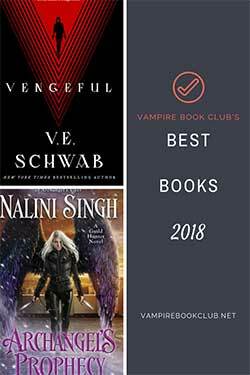 I enjoyed delving into this dark dystopian world of Epics; it was like reading a graphic novel without the colorful pictures. The one thing that didn’t work for me was David’s personality at the beginning of the book. For someone who witnessed the murder of his father at eight years of age, was then orphaned in a child workhouse and saw society be destroyed by tyrannical Epic despot, he is very immature, naïve and gullible. I do understand where Sanderson was going as David does get more jaded and realistic as the story progresses. I definitely enjoyed Steelheart and would highly recommend it to anyone with a superhero fetish or who loves the Pittacus Lore series. The book is an action-filled story, which could easily translate to an action packed blockbuster movie. I will most likely be picking up the sequel just to see how Sanderson resolves some of the surprising twists.